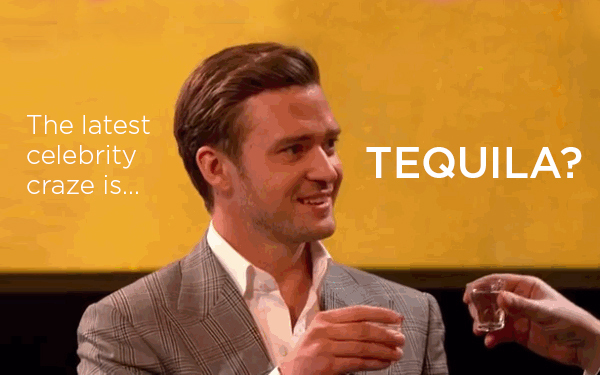 The latest celebrity craze is… tequila? Home / Branding / The latest celebrity craze is… tequila? A few weeks ago, I was sitting at Tumbleweed’s bar about to order a margarita when I noticed a few names in the liquor section I’ve never seen before. No, I’m not talking about Jose Cuervo or Don Eduardo – try George Clooney and Justin Timberlake! These guys are not only gorgeous, rich, talented, world travelers, but they also seem to fit in time for launching their own brands. These days, wine and spirits are the biggest brand moneymakers, and the latest celebrity craze comes in the form of a beverage near and dear to my heart – tequila. Celebrities and spirits seem like a win-win proposition, and a great number of them have tested their hand at the branding game, for example take, P. Diddy’s and Ciroc Vodka and Toby Keith’s Wild Shot Mezcal. While many Hollywood celebs are taking an old school approach and backing wine labels, only a select few celebs have taken the trendier, less traveled path of tequila. This ever-expanding group includes rockers Carlos Santana (Casa Noble) and Motley Crue’s Vince Neil (Tres Rios), country star Toby Keith (Wild Shot) and Justin Timberlake (901 Silver). This year, George Clooney and nightlife entrepreneur Rande Gerber debuted Casamigos, named for Clooney’s and Gerber’s adjacent properties in Cabo San Lucas. Even Shaquille O’Neal and P. Diddy are rumored to have interest in investing in a tequila brand. As you can tell, celebrity interest in tequila is at a high and so are profits: In the U.S., the biggest market, it’s a multibillion-dollar business. But celebs like Clooney and Timberlake aren’t the first to surprise us with good taste in alcohol, and we’re sure they won’t be the last. Do you think if you put a celeb’s face on anything and you might be able to sell the product a bit more? Or does it take a true expert and connoisseur to rule the category?